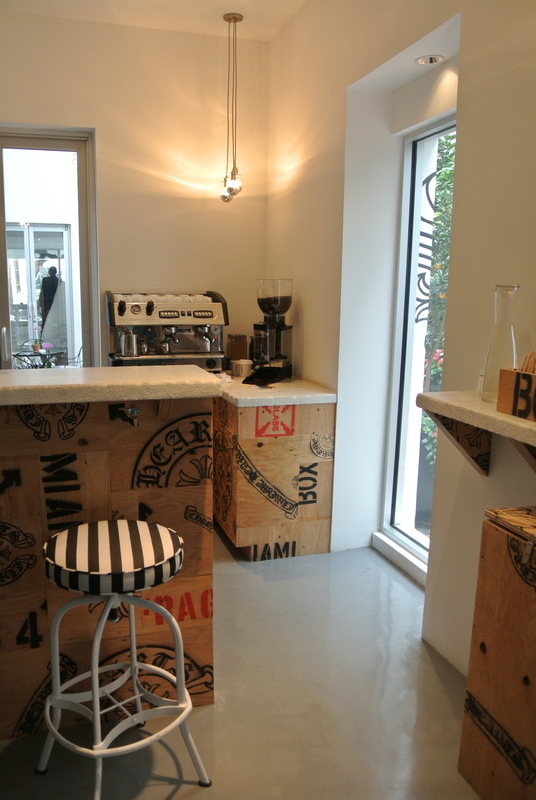 Located in the up and coming area of Miami’s Design District (similar to Toronto’s King East which is lined with furniture shops), is a retail space called Chrome Hearts that allows emerging artists and designers a space to sell their goods. 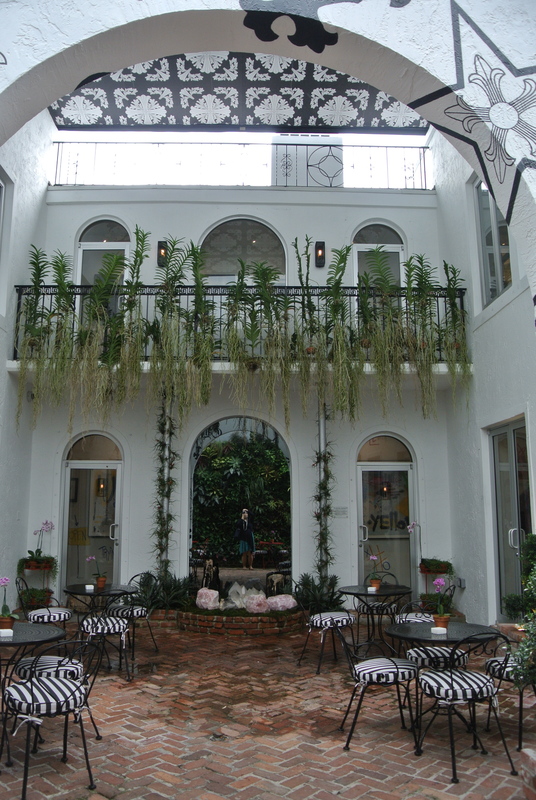 And tucked away past the black gates right beside the open air atrium and patio is David’s Cafe Cafecito. Normally we would have walked right past this cafe if it weren’t for the folks across the street at Jonathan Adler‘s store. Taking their advice on getting some good coffee we ventured to David’s. And what a gem! Such a funky locale and the perfect weather to sit out on the patio. Being an iced coffee junky, I ordered the iced cafe con leche. 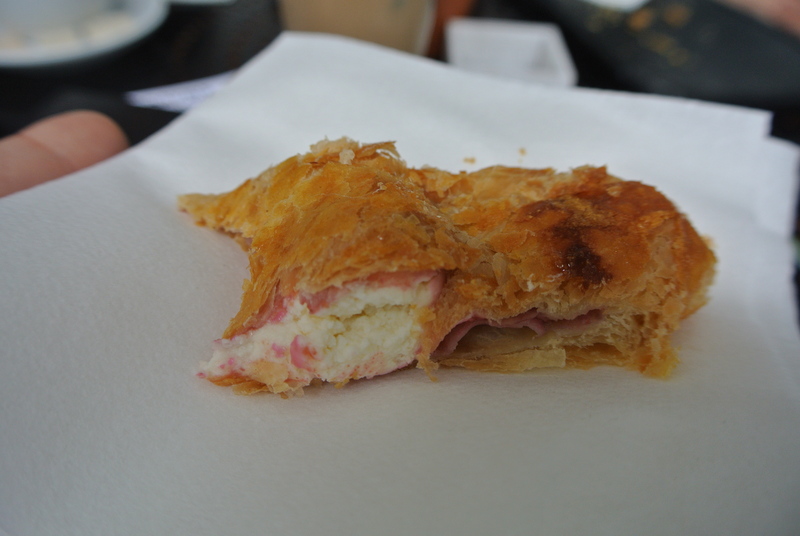 Made with milk and a giant coffee ice cube – an ingenious way to avoid coffee dilution. The menu is simple but we didn’t go there to eat. 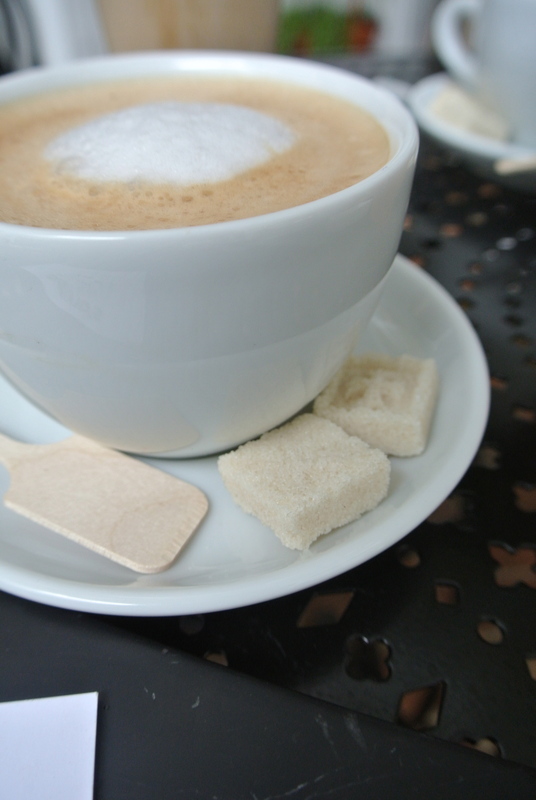 It’s all about the coffee and the details here, even down to the designs on the sugar cubes. Great place to sit, have a cup of coffee (iced for me) and catch up with a friend. Chrome Hearts in Miami’s Design District. The beautiful outdoor patio to David’s Cafe Cafecito. 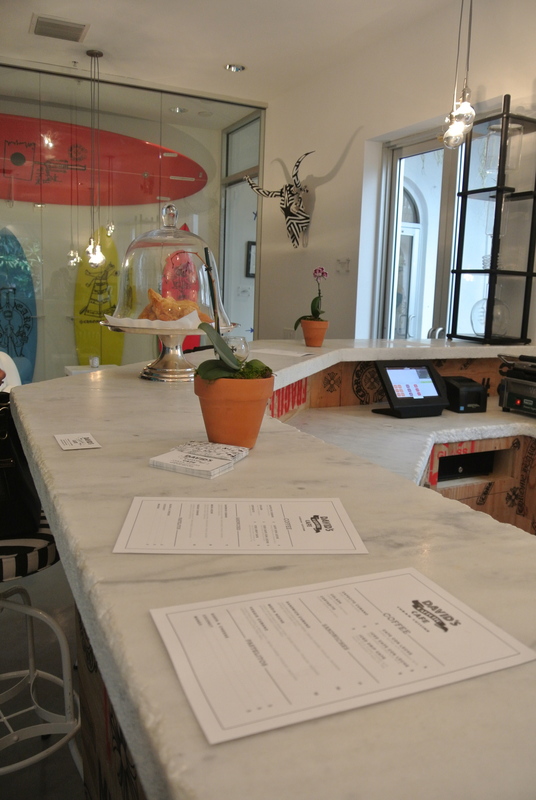 Inside the funky space of David’s Cafe. 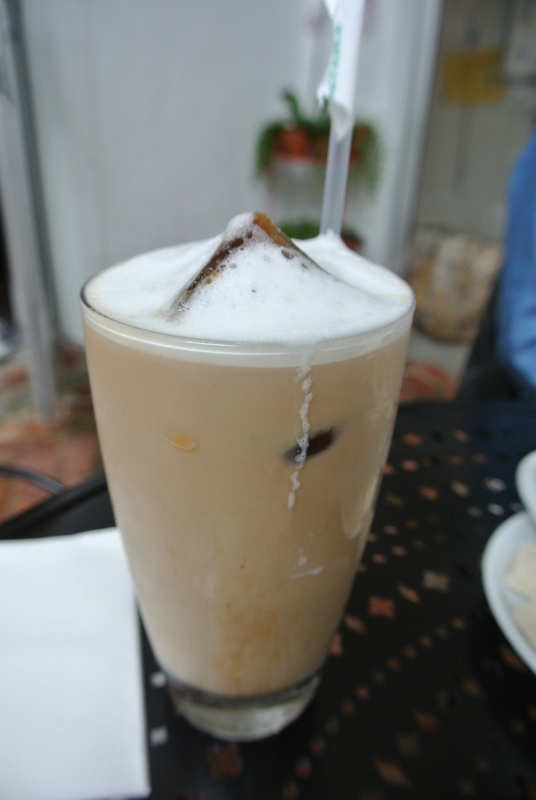 David’s Iced Cafe Con Leche. 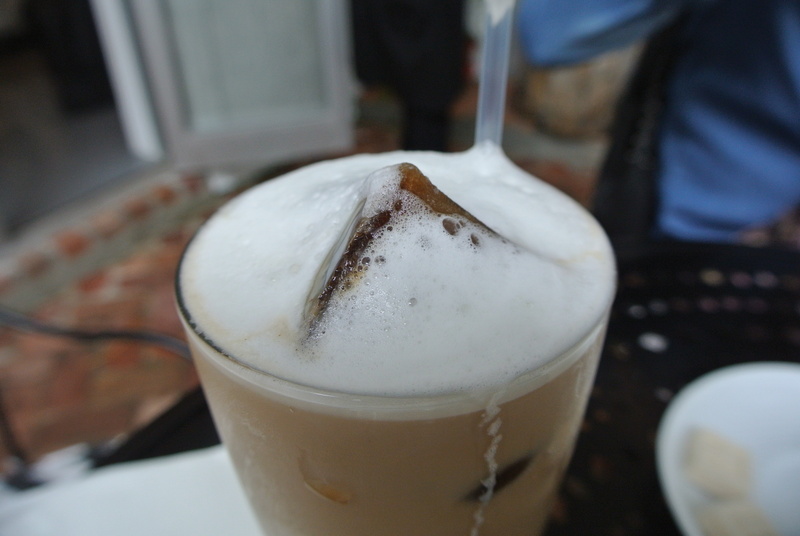 A close up view of the coffee ice cube in the iced cafe con leche. 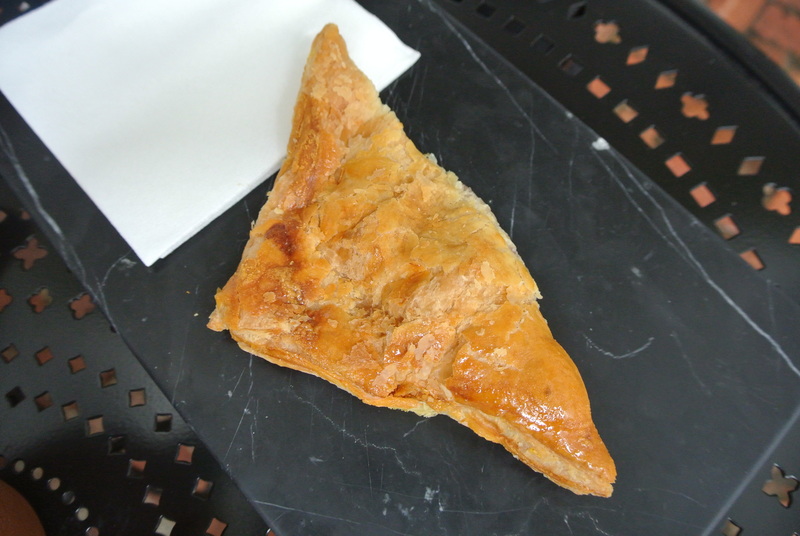 Deliciously light guava and cheese pastry. 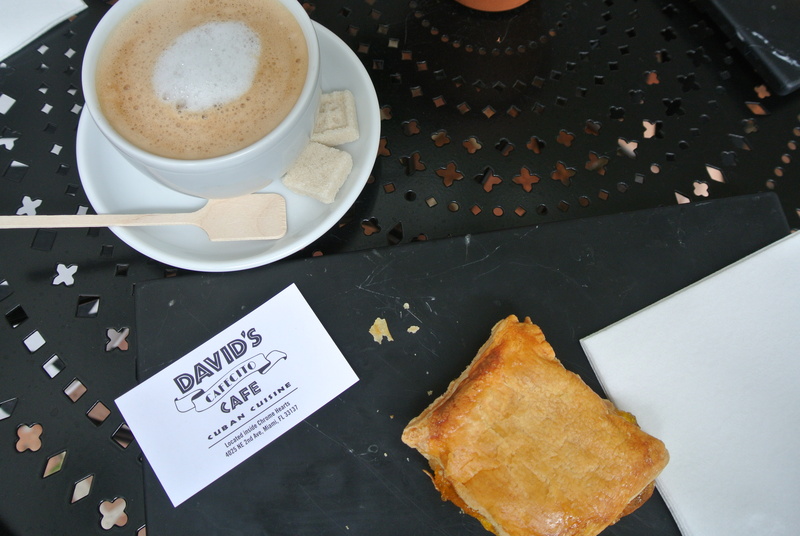 A cup of David’s cafe con leche.